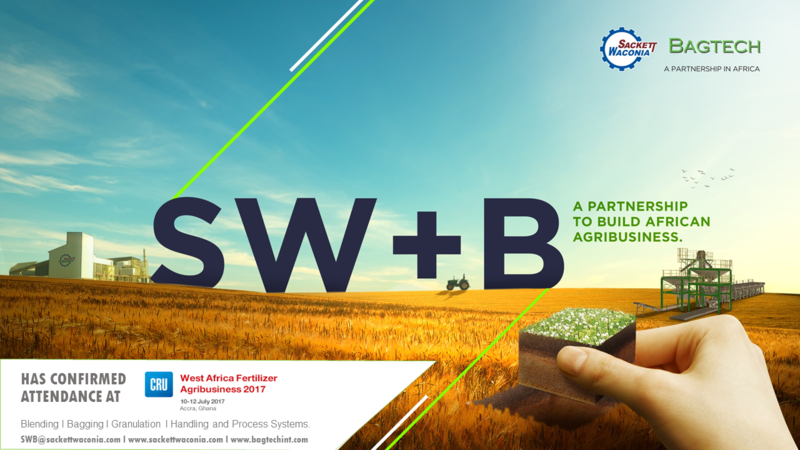 Sackett-Waconia, USA and Bagtech International, South Africa have reached an agreement to work together on the African Continent to jointly pursue marketing and supply of Fertilizer Blending, Handling and Process Systems. The combined Companies bring extensive experience in marketing, designing and supplying fertilizer systems including Blending, Bagging, Handling and Granulation. With a long standing reputation for quality and service and more than 1,000 blending plants in operation, Sackett-Waconia brings more than 180 years of Fertilizer Industry experience and an extensive proven product line operating in over 60 countries. Bagtech brings broad knowledge, equipment design and supply, plant operating experience and an excellent reputation for Blending and Bagging specific to Africa. The combined companies’ goal is to be the premier Company offering experience, equipment, and support to the African Fertilizer Industry. Larry Taylor, CEO of Sackett-Waconia and Fred Coelho, CEO of Bagtech say they are excited about this relationship and are confident it is a very positive development for the supply of high quality, reliable fertilizer equipment systems and support throughout Africa. This is particularly relevant as the African Fertilizer Industry continues its role in balanced, sustainable nutrient use to increase food production.